Description: The Bible and Disability: A Commentary (BDC) is the first comprehensive commentary on the Bible from the perspective of disability. The BDC examines how the Bible constructs or reflects human wholeness, impairment, and disability in all their expressions. Biblical texts do envision the ideal body, but they also present visions of the body that deviate from this ideal, whether physically or through cognitive impairments or mental illness. The BDC engages the full range of these depictions of body and mind, exploring their meaning through close readings and comparative analysis. The BDC enshrines the distinctive interpretive imagination required to span the worlds of biblical studies and disability studies. Each of the fourteen contributors has worked at this intersection; and through their combined expertise, the very best of both biblical studies and disability studies culminates in detailed textual work of description, interpretation, and application to provide a synthetic and synoptic whole. The result is a close reading of the Bible that gives long-overdue attention to the fullness of human identity narrated in the Scriptures. 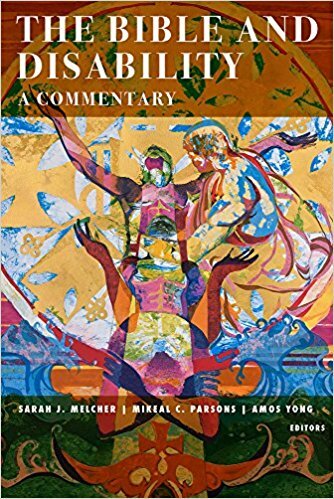 Citation: Hector Avalos, review of Sarah J. Melcher, Mikeal C. Parsons, and Amos Yong, eds., The Bible and Disability: A Commentary, Review of Biblical Literature [http://www.bookreviews.org] (2019).